Yes, it’s become something of a buzzword, and it’s used in nebulous ways at times, but it is crucial for businesses in all industries to have a good grasp on not only what big data is, but how it can be accessed and utilised. How Does Big Data Impact Businesses? 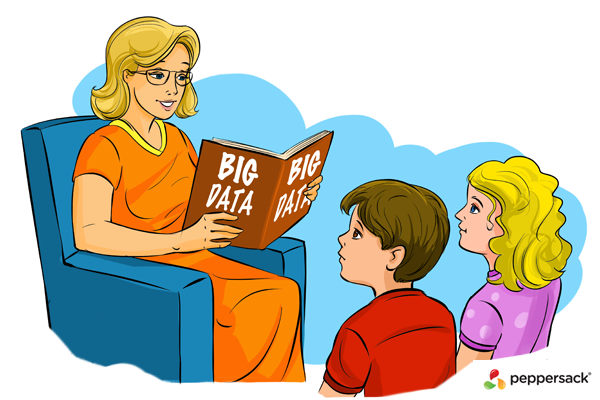 There are two primary uses for big data within a business. The first is the enablement of new products based on information about consumer preferences, desires, usability needed, and other metrics. The second, and arguably even more important, is the revelation of hidden insights that were previously obscured, usually by data that couldn’t be processed. This can include things like geographic data, social information, peer influence, and more. Obviously, this type of information can offer dramatic value for businesses and organisations. However, getting at this data can be more than a little problematic. This is where data science is so important. By analysing, parsing, moulding and then visualising insights gleaned from big data, data scientists are able to provide essential information to help businesses move forward. It’s not about looking back at historical information. Rather, it’s about creating predictions for future actions and being assured that they are accurate. Interestingly, big data and data science have impacts on many areas within a business, including marketing – SEO in particular. With the aid of data science, deep insights can be gleaned into competitors, keyword and key phrase usage, website architecture, audience preferences, social media marketing and all other aspects of your online presence. Based on that information, your business can then make strategic decision to reach specific forecasted goals with assurance, rather than relying on guesswork. The real challenge for most businesses is in finding ways to access, sort, parse and visualise big data. Data science usually falls far outside the scope of the average organisation. And make no mistake, this is not an area where “good enough” is even remotely good enough. It requires significant training and expertise in order to manipulate information, create valid hypotheses and extrapolate relevant information from the deluge of information out there. If you find yourself in this situation, Peppersack can help. Our expertise extends to applying data science to big data in order to assist our clients in growing their business and obtaining the success they require.